What Do I see? The Eiffel Tower? A glimpse. What else could it be? So, I’m walking down the road. I’m on my way to a library where I’m supposed to get registered. 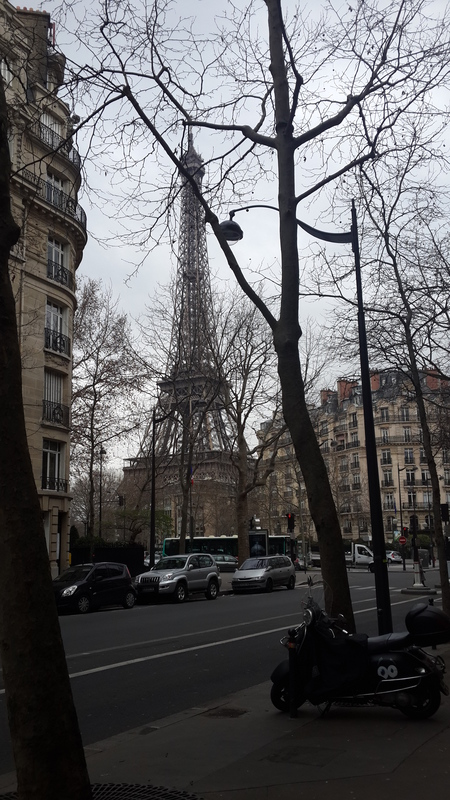 As I come up to a junction, I look to my left and… Is that the Eiffel tower? Did I just randomly stumble unto one of the most visited sites on the planet? 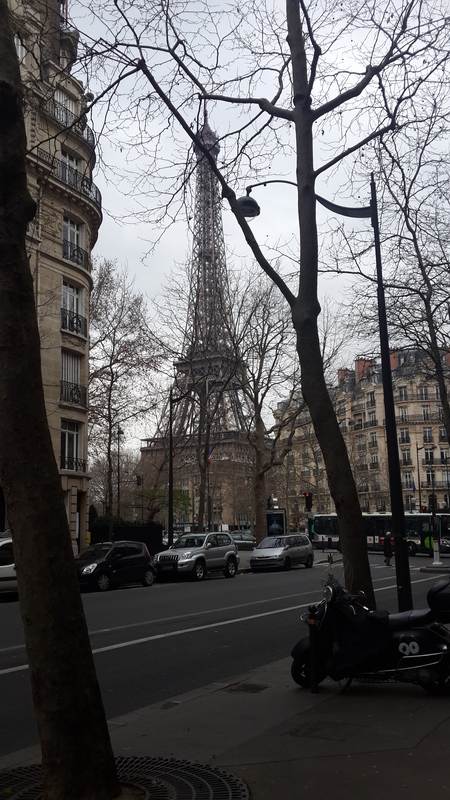 Oh my goodness, is that the Eiffel Tower? 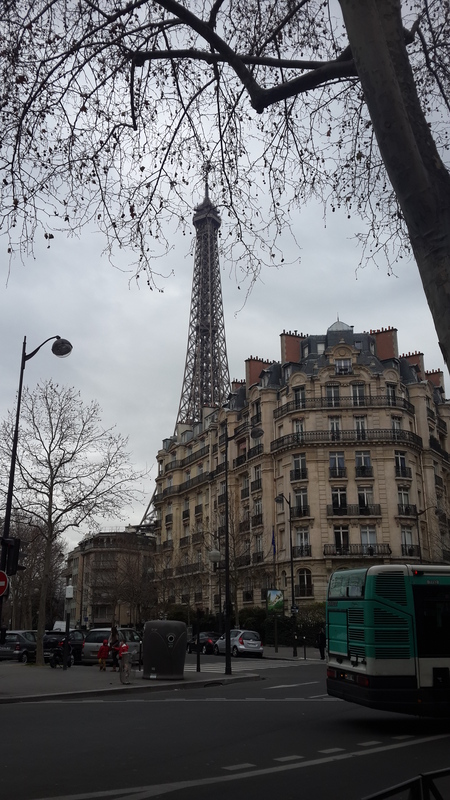 But what else could a tall metal structure shaped like the Eiffel Tower in the middle of Paris be?